Given the changes in how we shop, high streets won’t be revived by conventional retail alone and so we must look for innovative solutions to create and maintain vibrant town centres. Yesterday’s Budget provided welcome relief for Britain’s high streets and town centres. Alongside a one third cut to business rates for small retailers, the Chancellor announced a £675 million Future High Streets Fund. This will support a number of local areas to develop a vision for the future of their town centre and bring about some of the changes needed to turn their vision into reality. Given the changes in how we shop, high streets won’t be revived by conventional retail alone and so we must look for innovative solutions to create and maintain vibrant town centres. For this investment to really deliver, community entrepreneurs and leaders must play an active part in shaping and implementing that vision. It would seem obvious that community organisations should be at the heart of decisions about the future of their town centre. They are uniquely well placed to know what local people want and need given their deep roots in local communities. Retail may come and go but many community organisations have a long term interest in the fate of their local area. This is all the more important given the future for our high streets and town centres must look beyond retail. Current retail trends can’t be reversed. But we all want to live in places with vibrant town centres so we need to find new ways from public services to housing and heritage to draw people in and keep town centres as spaces where people of all ages gather, meet and connect. This is all the more important in the digital age and with an ageing population. However, many of the traditional mechanism for improving town centres such as Business Improvement Districts (BIDs) have traditionally not included community representatives and Local Authority-led approaches often consult with local residents and groups without giving them real power in the process. In his review for government earlier this year, Bill Grimsey, former CEO of Iceland, proposed replacing BIDs with Community Improvement Districts to draw in a much wider range of perspectives and expertise into process. The Future High Streets Fund must insist on this change. At Power to Change, we see real evidence of how community businesses can play a vital part in the revitalisation of the high street thanks to their focus on running businesses for the long term benefit of the local community. Just in Liverpool, you can find three different examples of how this can work. Start in Anfield and you’ll find Homebaked, the community-owned bakery and housing organisation at one end of the high street and Kitty’s Laundrette, an affordable, eco-friendly laundry service and community hub, at the other. 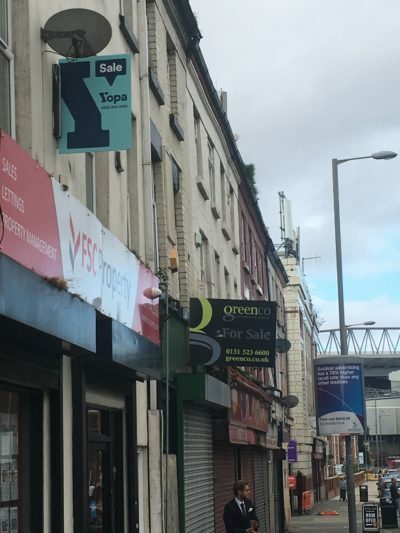 Go to Toxteth and Granby Four Streets, the community-led housing organisation, is now looking to refurbish and reopen some of the shops that used to make Granby Street thrive. Finally, in North Liverpool, Alt Valley Trust runs everything in the town centre from the pub and the leisure centre to the local shopping centre. 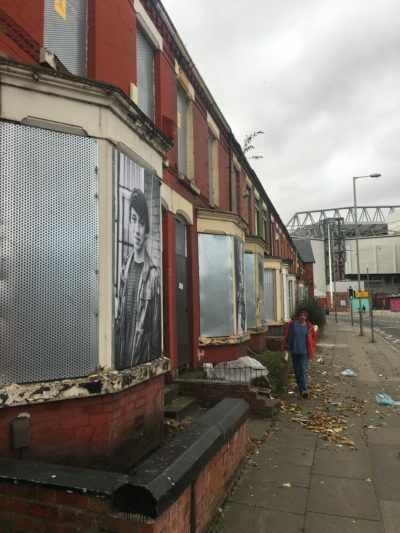 Liverpool is not alone and it is encouraging that yesterday’s announcement also included an ‘Open Doors’ pilot which will support five town centres to bring empty properties back into use by matching landlords of vacant properties with community groups looking for space. Given this kind of opportunity, we know community organisations can bring the entrepreneurialism to start to turn things around. Early thinking about business models can ensure that this activity can be sustained and part of a long term solution. The future of every town centre will be built from the heritage, identity and assets of each place. Community organisations are part of what is unique about each town and ensuring that they have a seat at the table as part of a collaborative approach to place-based leadership will be essential to ensuring our town centres can thrive for the future. Find out more on how Community Business is stepping in to save the high street in the latest episode of the Community Business Fix – Saving High Streets.